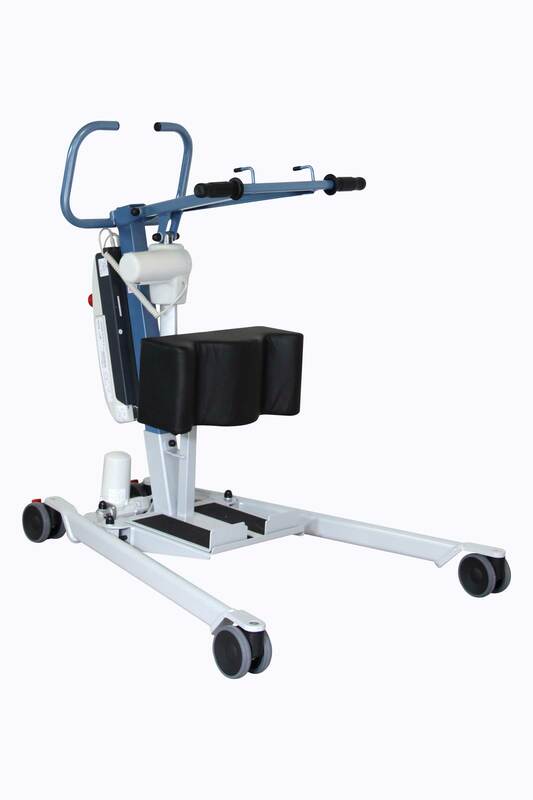 CE certified and manufactured in France, the WAYUP with electrical opening legs is a mid-range stand-up lift, made in steel and whose maximum lifting capacity is 150 kg. 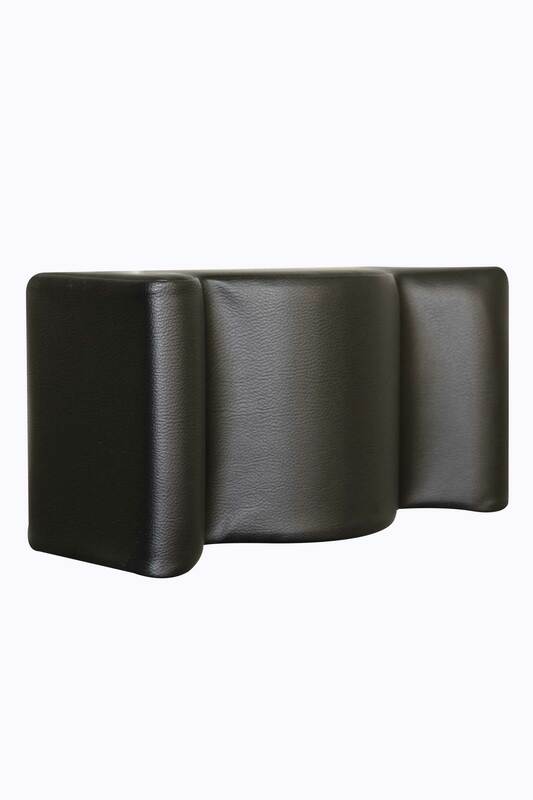 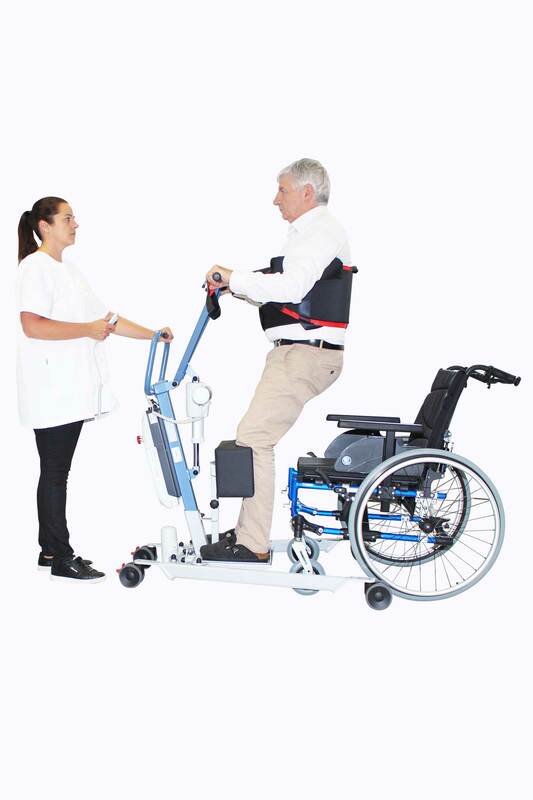 The addition of a second actuator to electrically spread the legs of the device (up to 75 cm) offers more comfort and efficiency to the caregiver to perform the patient’s transfer in the safest way possible. 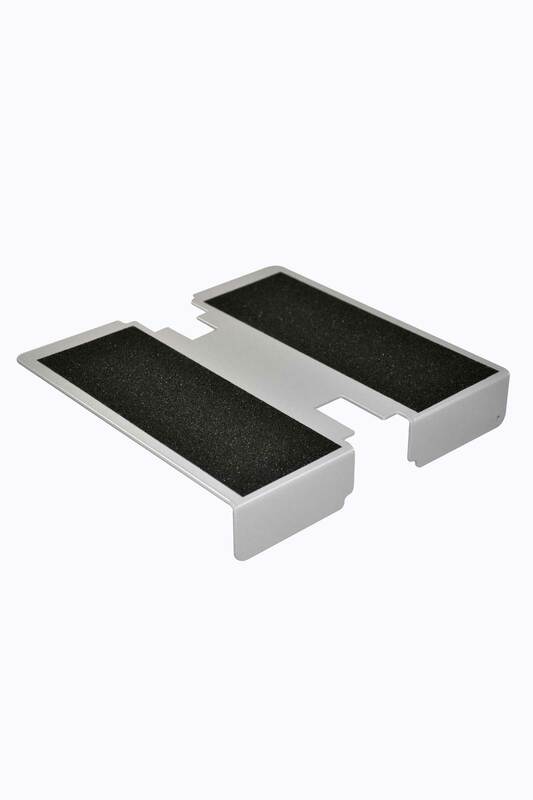 As options, a lithium battery is available to enhance the use of the device and a calf strap to provide a better feeling of safety (warranted 2 years). 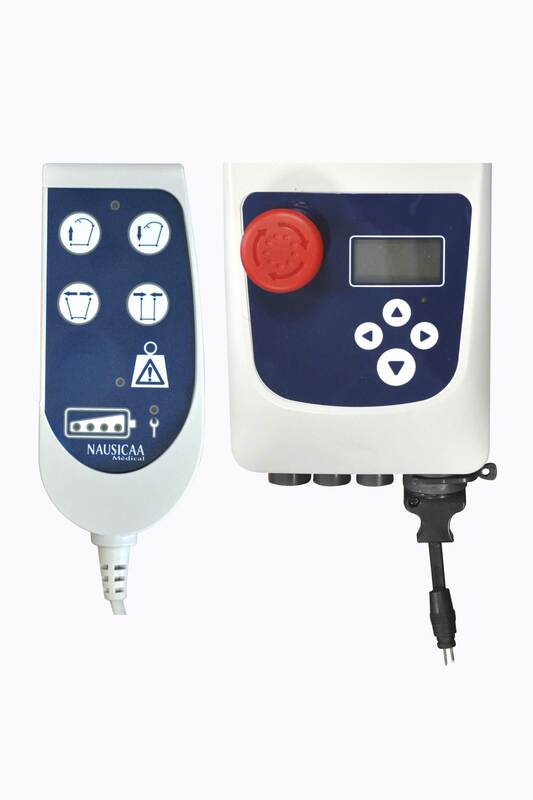 The device allows the patient to reach a standing position (total or partial) by activating her bust tonicity and supports the lack of tonicity while stimulating the natural raising scheme. 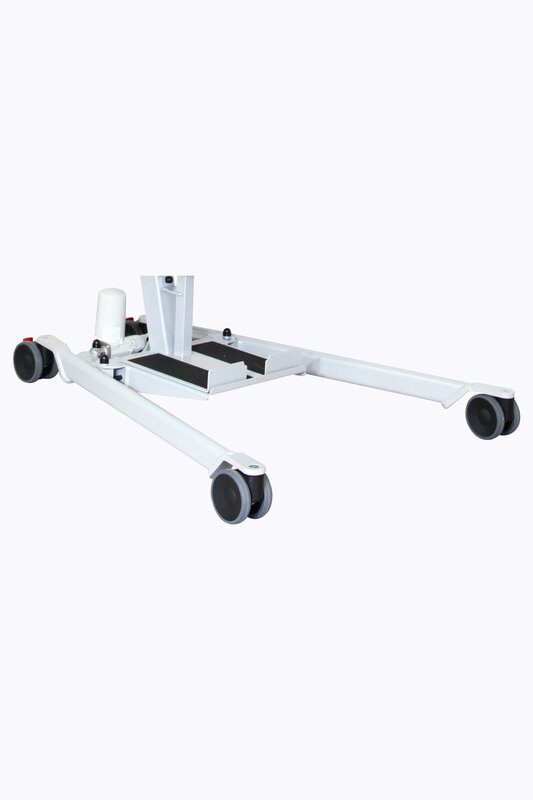 Its electrical opening base legs, from 54 cm to 75 cm, allows large widths armchairs or wheelchairs and an ease of access.